We learn something new everyday as somebody once said and yesterday we had some great comments relating to newspaper tipsters, including one from Chris who told us about a great resource that I wasnt aware of called Napstats. Napstats records the profit and loss from the newspaper tipsters Nap selections and surprisingly lots of them do very well with their Naps. Especially when you consider they have been seen by thousands of punters and probably been over bet, especially the popular ones. Below I have copied the top if the table for Naps over the last two years with Betfair Commission deducted. At the top of the table is Jeffrey Ross of the Glasgow Evening Times who has had 649 selections with 219 winning for a 33.74% strike rate and a profit after commission of 89.88. That's a 13.8% return on investment, which might not seem amazing, but it is over two years. Napstats also has the facility to download the selections for each tipster and to analyse their results by price and course. The flat season is nearly upon us and it all kicks off at Doncaster on Saturday. Every year around this time I get myself a copy of Jon Gibby's Well Handicapped Three Year Olds. Jon Gibby spend's his time watching and following two year olds and building a list of horses that enter their three year old campaign lightly raced and off of a lenient mark. Jon Gibby's methods for identifying horses that are well-handicapped have proved highly successful. He has once again reviewed the form of last year’s lightly raced two-year-olds and identified 71 that he considers to have been allotted potentially lenient official handicap ratings prior to the start of their three-year-old campaigns. In the 2013 edition the 66 horses that ran won 80 races between them and on average their handicap ratings rose by six pounds over the course of the season, which shows that most of them had indeed been well-handicapped. The book selected the following big-priced winners: Kuantan One (20-1 and 7-1), Whipper Snapper (20-1), Desert Commander (12-1) and Soviet Rock (11-1). Multiple winners included: Skytrain (seven wins including at 10-1 and 7-1), Slip Of The Tongue (3), Auction (3), Majestic Moon (3, including at 7-1),Sea Shanty (3), Woody Bay (3) and Tajheez (3). 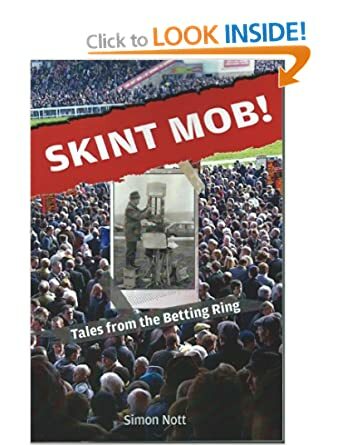 This book is a £6.43 bargain that will find you winners this year.